Taking our supply chain from 'Good to Gold' through collaborative learning, innovation and structured training. Woodhead were appointed by the UK Commission for Employment and Skills (UKCES) to work in partnership through the UK Futures Programme to develop and deliver the Good to Gold leadership programme with our supply chain businesses. What was the good to gold programme? 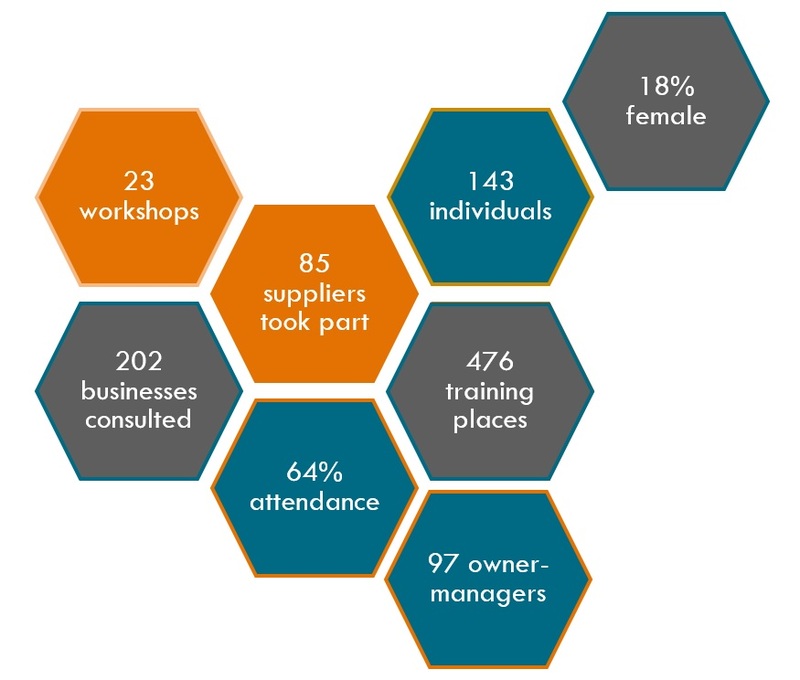 The Good to Gold programme was a pathway through which we are offered our supply chain the support they needed to assist them with their business growth in the areas that they feel they needed that support. The Good to Gold programme is designed to help our supply chain learn, improve and grow, from health and safety to project and work management, recruitment and human resources to business compliance and best practice. An average 4 days of free training (split over half day durations) tailored to support the business management needs of our supply chain. The development programme was designed to deliver a series of workshops aimed at owner/managers of our supply chain in increasing the Leadership & Management skills within their business. “It’s set like a blue print for me to follow and I’m seeing business boom at the minute”. “The biggest benefit we took was the sheer experience in the room, it’s just lots of people, lots of different experiences”.